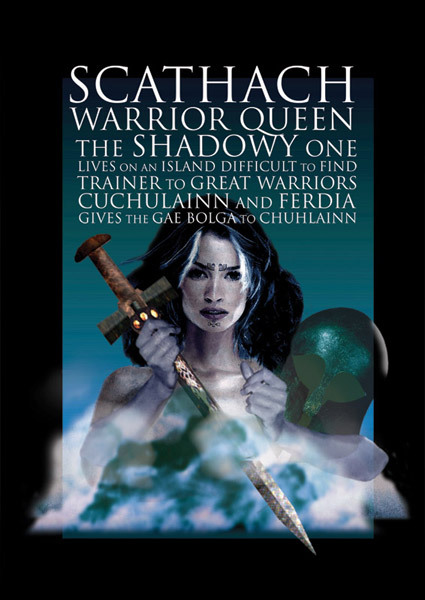 Thanks to Bard Mythologies, keepers of ancient wisdom, for this story of Scathach. Click here to read the myth of Scathach, retold by Karina Tynan from the perspective of the feminine. Click here to read the myth of Scathach, retold by Karina Tynan from the perspective of the feminine. Herstory is thrilled to collaborate with Karina Tynan; writer, psychotherapist and team member of the Bard Summer School. Karina has been inspired by our rich mythology to write a series of retellings of the Irish myths from the eyes and experience of the feminine. Through her empathy and imagination she seeks to meet the light, shadow, creativity and heroism of mythic women It is Karina’s belief that myths are boundless and will forever yield fresh wisdom as they encounter the human imagination. Each retelling is imaginatively recreated while being fundamentally true to the myths themselves.